If you are looking for funds to improve your home, using the equity in your home can be a great way to finance the improvements. Using the equity in your home is not something to take lightly, but if you are doing something to improve the value of the home, it can be well worth your while. The available equity in your home is calculated by taking the current market value of the home (as determined by an appraisal) and subtracting the current mortgage balance. Destinations will loan you up to 80% of that amount. To get a rough idea of what your home is worth on the market, you can check internet sources, such as zillow.com, for recent sales of homes in your neighborhood. 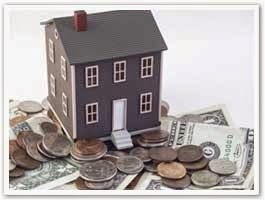 A Home Equity Loan is a fixed-rate, fixed-term loan. The payment and the interest rate are constant over the agreed-upon term. Therefore your payment amount will not fluctuate. You cannot borrow against the equity again until the loan is paid off. A Home Equity Line of Credit (HELOC) is an open-ended loan that you can borrow against any time you need the funds. The line of credit is up to 80% of the equity in your home. The rate on the line of credit is generally lower at the time you apply because it is a variable rate. As market rates rise, so may your interest rate. With a HELOC, you can draw against the line whenever you need the funds. 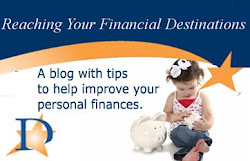 Both options provide low rate loans to accomplish your goal. With Destinations Credit Union, our HELOC rates are the Prime Rate minus 1% with a floor of 4%. Since the Prime Rate is now at 3.25% (and has remained so since the end of 2008), our current rate is 4% Annual Percentage Rate. Prime would have to rise to more than 5% before the rate would rise on our HELOC. If you are interested in exploring a Home Equity Loan or Line of Credit, contact us through our website or give us a call at 410-663-2500.